Boron (B), which is a beneficial bioactive element for human, has an increasing interest in tissue engineering for the last 5 years. However, the effective B concentration in cell culture is still unknown. The aim of the present study is to investigate in vitro osteogenic potential of mesenchymal stem cells, isolated from adipose tissue (AdMSCs), on boron containing 2D and 3D cell cultures. At first, the effects of B concentrations between 1 and 20 μg/mL were evaluated on the survival and osteogenic differentiation of AdMSCs cultured on 2D cell cultures. The 3D cultures were established by using chitosan (Ch) scaffolds prepared by freeze-drying and Ch scaffolds combined with hydroxyapatite (HAp) and B containing hydroxyapatite (B-HAp) that are produced by microwave-induced biomimetic method. 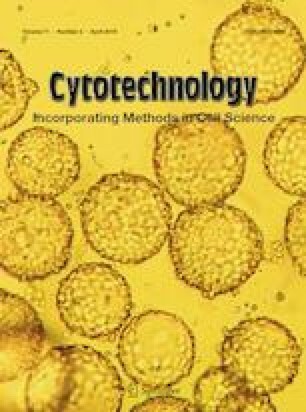 The proliferation and osteogenic differentiation of AdMSCs on Ch, HAp/Ch and B-HAp/Ch scaffolds were investigated by in vitro cell culture studies. The results were evaluated with respect to cell viability, bone related ECM gene expressions, and cellular morphology. It was demonstrated that cellular functions of AdMSCs were enhanced by boron in both 2D and 3D cultures. Especially, B-HAp/Ch scaffolds, which have both osteoinductive and osteoconductive properties based on presence of B and HAp in its structure, promoted adhesion, proliferation and osteogenic differentiation of AdMSCs.